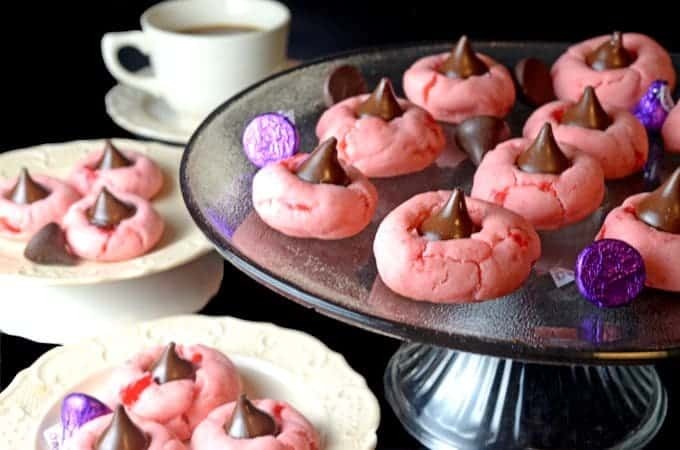 Cherry Cookies Cookies with a chocolate kiss highlight the very best in dessert treats. Showcasing the timeless love affair between chocolate and cherries, these cookies are simple to make and perfect for the holidays or any occasion. 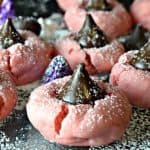 These cherry kiss cookies are perfect for the holidays or any day when you need a little extra love. What says love, like cherries and dark chocolate? This Cherry Kiss Cookies Recipe is deeply rooted within the timeless love affair between cherries and chocolate. We’re not talking just any chocolate. These cookies are all about the dark chocolate. 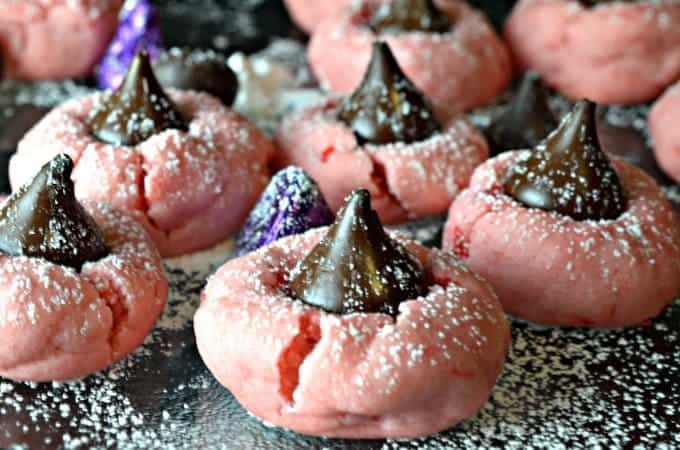 Featuring a combination of cherry juice, chopped maraschino cherries, and dark chocolate Hershey kisses, this Cherry Kiss Cookies Recipe harkens back to the basics, even to the extent of being able to mix this batter by hand with a fork. No electronics necessary (said with glee by a dad of six boys). I’ve gotten into the habit of baking almost everything on a stone, in all probability all for my own personal love affair with pizza. With this Cherry Kiss Cookies Recipe though, I made an exception. The heat from a stone carries over long (and intensely) after it comes out of the oven. 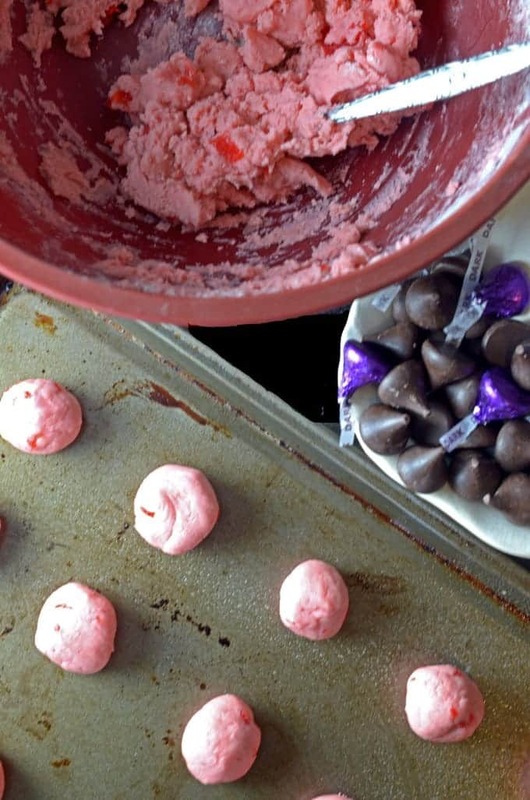 As soon as these cookies are finished baking, the kisses are placed in their centers. Using a metal cookie sheet helps ensure that the chocolate kisses are don’t get too warm via conduction, allowing for a gentle softening of the chocolate, instead of an all-out meltdown. 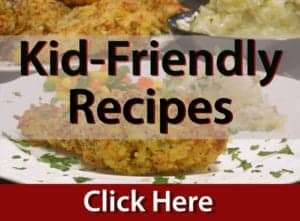 This recipe makes about 30 cookies. If you’re looking for a simple and delicious cookie treat, look no further. These Cherry Cookies not only taste great, they’re a tasty reminder of the enduring ying and yang between chocolate and cherries. A love affair that will surely live on forever. 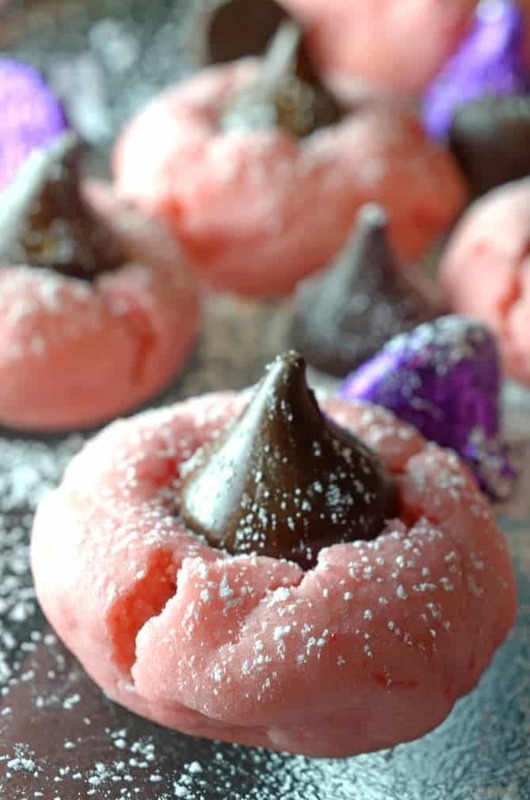 Cherry Kiss Cookies are easy to make and easier to eat. Cherry cookies with a chocolate kiss crown. 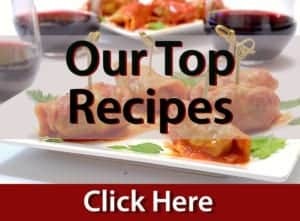 Follow this link to the original recipe from Taste of Home. Preheat oven to 350°. In a large bowl, cream butter, powdered sugar and salt. 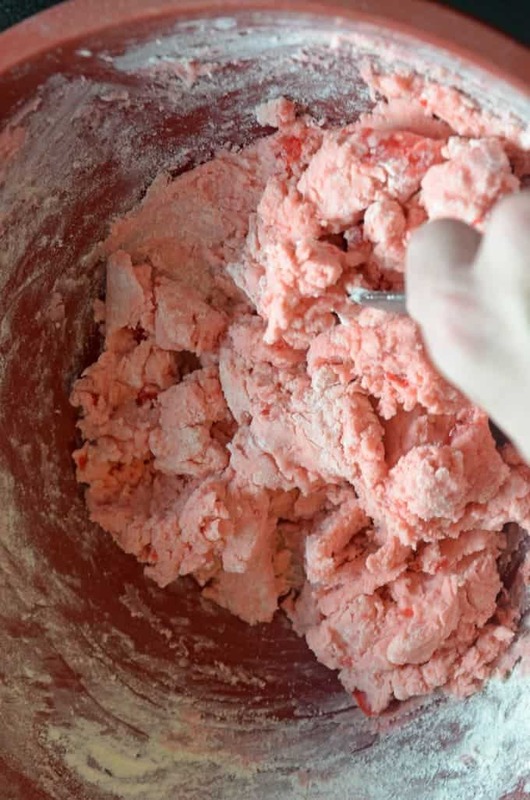 Mix in cherry juice, extract and optional food coloring. Gradually stir in flour and baking soda. Fold in cherries. Shape dough into 1-inch balls. Place 1 inch apart on to greased baking sheet. Bake 8-10 minutes or until bottoms are light brown. 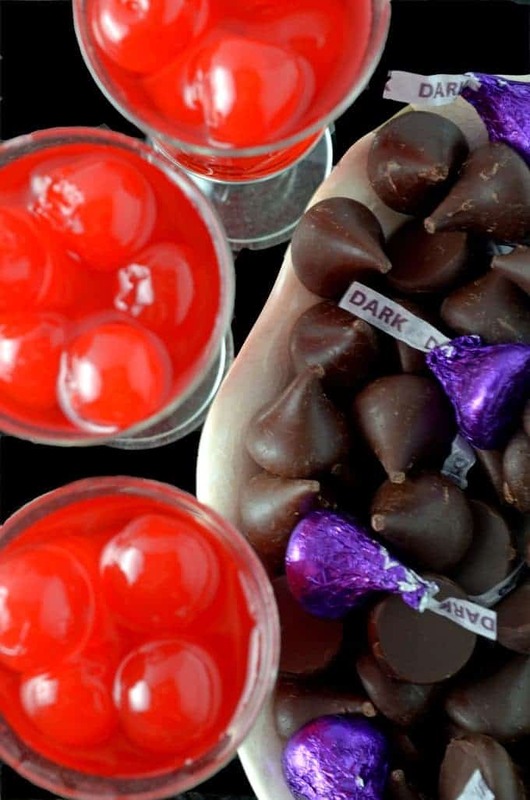 Immediately press a chocolate kiss into the center of each cook. Cool on baking sheets for 2 minutes. Transfer to wire racks to cool. I had to make a few revisions to this recipe to get it to work. I added more sugar and flour and reduced the butter. I increased the sugar to 2 cups, cut the butter to 3/4 cup, increased the flour to 3 cups and added a few more cherries it worked well then.